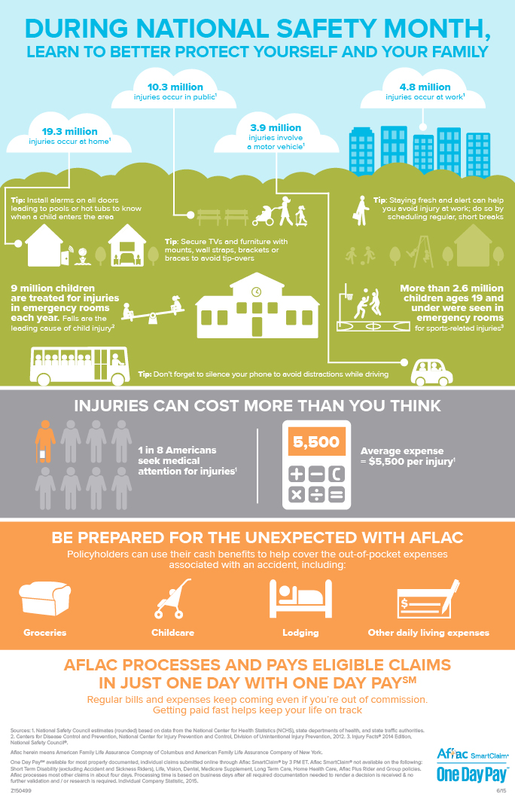 (NewsUSA) – NewsusaInfographic – Even the most minor of accidents, such as a broken arm, can lead to temporary loss of income and the inability to pay normal living expenses. Supplemental insurance, like accident insurance, can help consumers stay ahead of the medical and out-of-pocket expenses that may add up quickly after an injury, allowing consumers and their families to focus on recovery -; not finances. Read below for fascinating facts and safety tips to help keep your life on track. 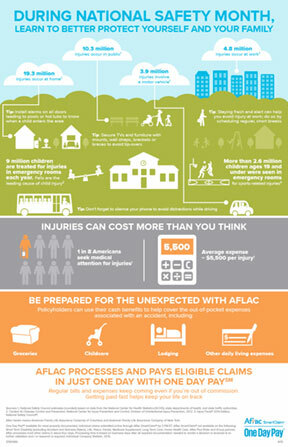 For more information, visit aflac.com/individuals. See full-sized image here.